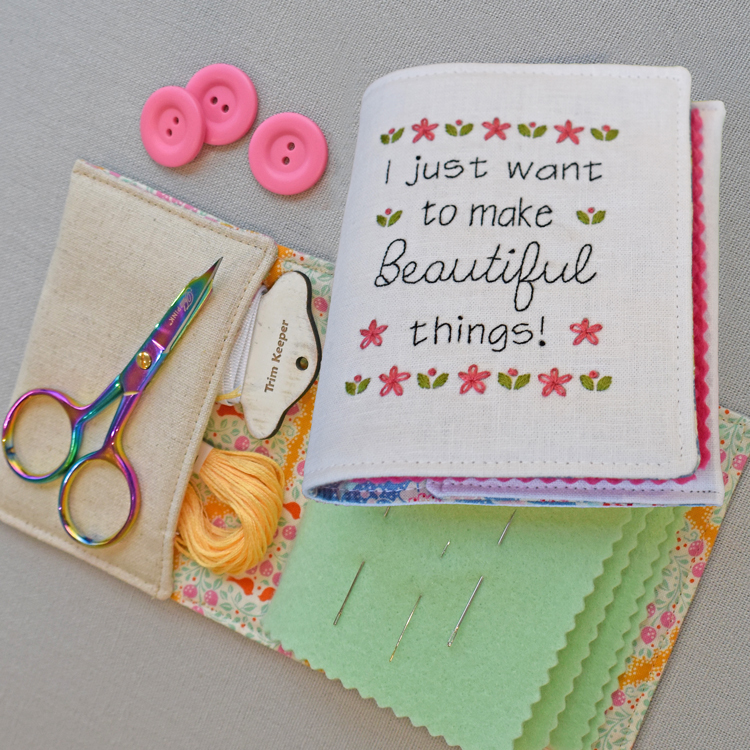 You will always know where to find an appropriate needle with this sweet little needlebook. A little pocket can fit some floss and small embroidery scissors to make this a perfect travelling sewing companion. This quick project is a great way to learn basic embroidery stitches and makes a wonderful gift for your stitching friends. Pattern comes complete with digitally printed linen and stabliser.